Tiff Bell Lightbox, in Toronto, Canada. However, I don’t have enough to qualify for free shipping, so, which of these is most worth preserving? For your reference, I’m already buying A Charlie Brown Christmas and The Adventures of Robin Hood. I considered a similar project for last Christmas for my family. If this were to be done, you should probably use the Laserdisc audio and sync it, as it’s far more accurate than the DD 5.1 mix on the Blu-ray. THX 1138 1971 'Flat' Theatrical version preservation. Looks remarkable for a 16mm film, nice work! So, semi-related news: a 4K version of The Hateful Eight has leaked online. It’s reported as having a frame rate of 25fps, so it could be victim of PAL speedup. I’m don’t think it’s the longer cut, but I’ll report back soon with confirmation one way or the other. After looking at screenshots of the 4K release, the colors on the 4K are much better (snow is white, for example). If it is indeed at 25fps and sped up, it might be worth slowing it down, even if it is just the regular cut (and it appears it is). Can someone PM me this? Doing test renders for the overture. Expect a video either later today or tomorrow. Wouldn’t that just be a black frame? Of course. It may just take a while. Here are the overture and intermission images. Note that unlike your version, mine has a red fade in the black area, which I don’t think is correct. The Overture version was made by a nice redditor in the Photoshop Requests subreddit, and I adapted it for the Intermission image. Mine are also 1920x1080. The sky isn’t correct, but other elements of this are quite good. I’m already using some minor details from the horses and carriage in an update to my version. I have been unable to find any references (even CAM) of the Roadshow Cut, unfortunately. I LOVED the Roadshow cut. What I do have are recreations of the Overture and Intermission cards. 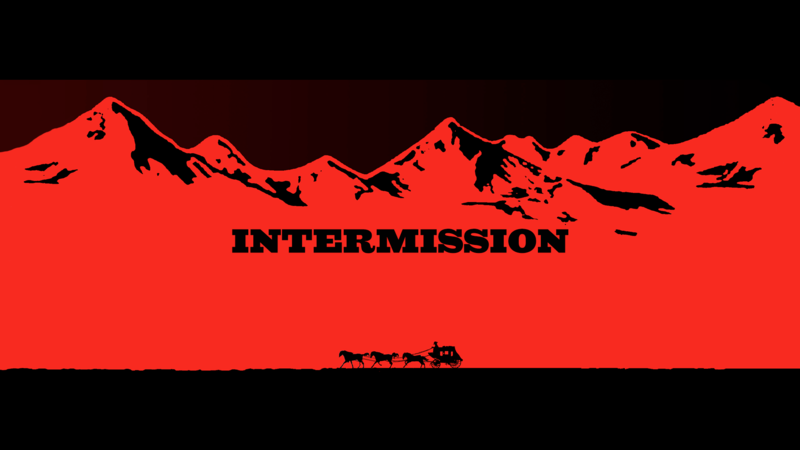 Could you post your intermission card? The best version I could find was unusable due to low resolution and screen reflection. I’m pretty sure that’s just artifacts from the resize, but I’ll check and make sure. Edit: I found the issue you were referring to. Good catch! Will reupload tomorrow. Just ordered the BD to try my hand at this. Does anyone have a video reference source for this version? 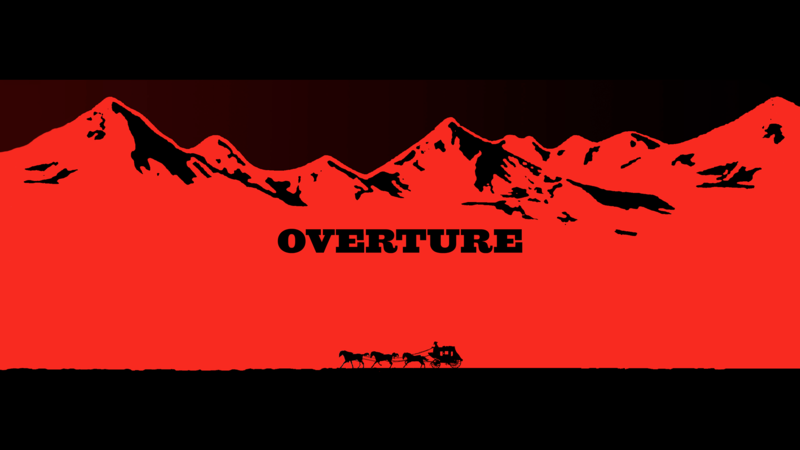 I’ve already recreated the overture card using a couple of images I found online, but would need an original source for color reference, the remainder of the pre-film title cards, and timing. From what I’ve been able to gain about this, it was edited differently and featured a new scene as well as a few extended ones. I’ve also heard something about a leaked screener - was this the Roadshow or Multiplex version? Just checked this again. This is the 480i version, not 480p recorded as I thought, and appears to be complete at the proper speed. If this has any use for this project, PM me. Does anyone know if the 1080p iTunes & Amazon versions of The Black Cauldron are any good? Does this fix the issue you were referring to? I converted the black correction to the screener’s color space, and adjusted some colors to better match. The colors look a bit off in the pencil scene. It looks like it should be graded to more of a teal color, as per the screener, but seems to appear more blue after it is run through DrDre’s CC tool. This causes some inaccuracies in flesh tones as well as costume colors. The “table scope” part is referring to the rotoscope and minor CC of the table from the screener correction, as the table appears to have been digitally altered for the Blu-ray. This caused unnatural grain in areas, and is the likely cause of the fringing near the table’s upper edge. I happen to have a US broadcast version recorded from a Mystery Channel broadcast way back. It was done on a DVD recorder, but it’s since been duplicated to an MKV file at 480p. Would anyone find this useful, either for the project or otherwise? It’s not final, or pretty by any means, but (once I correct a few things) it will probably be the best this can look and sound while being accurate to the sources given. Shoot new sequences for the prequels with new characters to make them fit with the originals. Hey, no one said it had to be a Special Edition of the OT. Harmy made a 97SE recreation in HD called Respecialized Edition, too. I think he also made a DVD image of it, but I may be wrong.